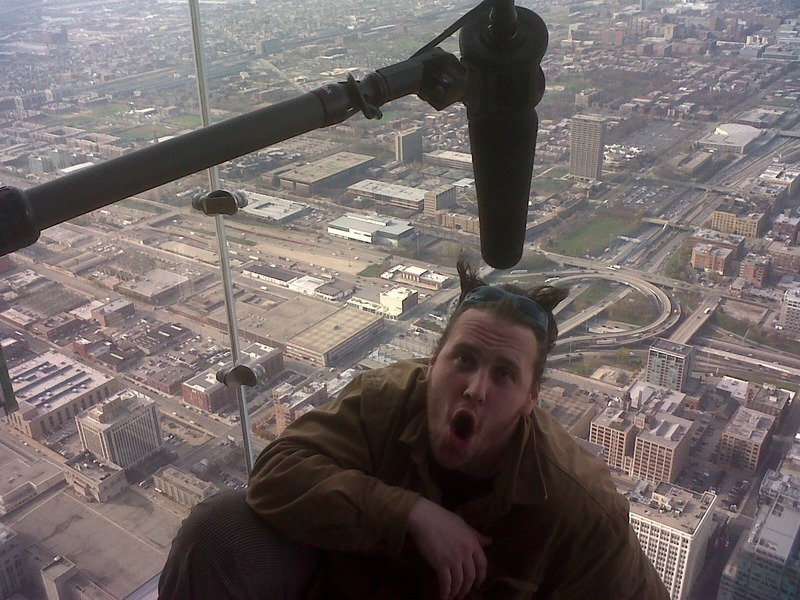 As a location sound engineer, my husband has done a number of shoots on the Willis Tower Skydeck. These are little glass floored, glass walled rooms that protrude from the tower formerly known as Sears. Nothing says Chicago, quite like the view from the top of our tallest skyscraper! This is a chef from Moto, Daryl Nemits, and the photo was taken on a Blackberry, tho we've been jonsin' for iphones and are just biding our time till our contract is up to defect. Click below for more phone photo fun. How cool is that! Awesome shot! Way cool photo idea! Great job! Super cool. I HAD to read picture is about as soon as I saw it. I'm not fond of heights (that is the understatement of the year).